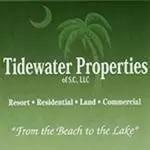 Welcome to Tidewater Properties located in Manning South Carolina, we have been successfully selling real estate for the past 17 years. Our highly passionate sales agents are here to negotiate the best deal that’s right for you. Whether if you’re buying or selling your family home, resort home, condominium or land we are here for all your real estate needs. Contact our office today or browse through our website and see the beautiful properties we have to offer.